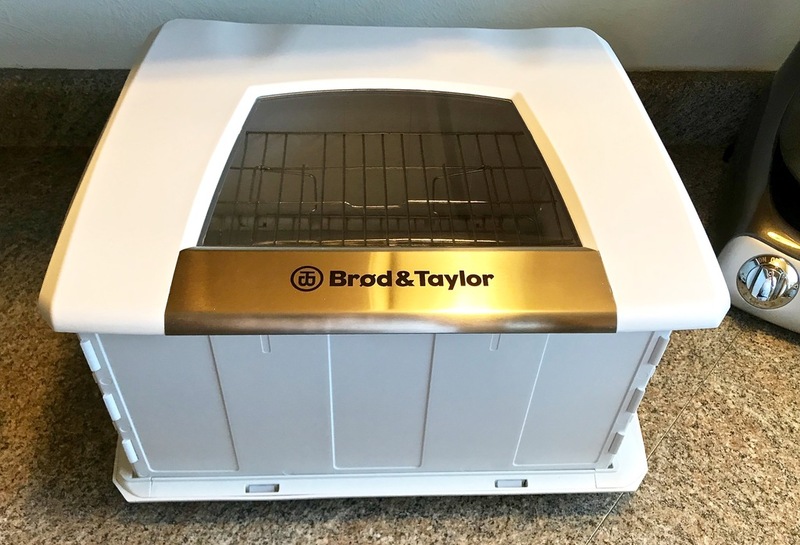 The Brød & Taylor proofer is really an accurate low temperature slow cooker with a temperature range of 70º-195ºF. 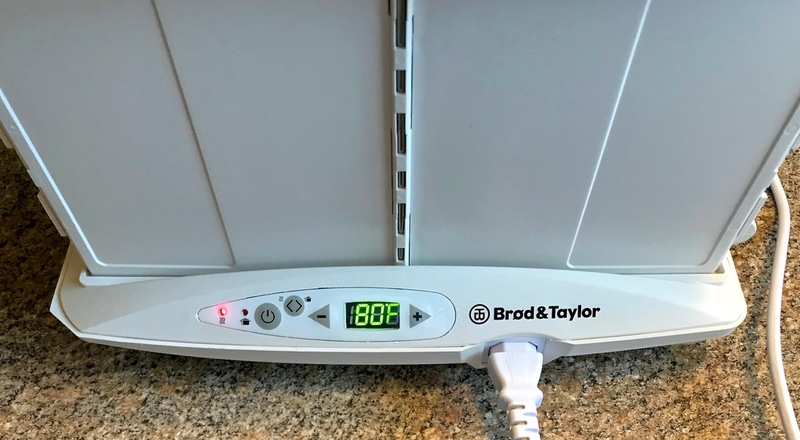 The Newer model is actually marketed as a proofer/slow cooker after the company increased the heating panel's max to 195ºF allowing one to use up to an 8 qt covered metal stock pot or dutch oven as the cooking vessel by placing it directly on the metal heating plate. 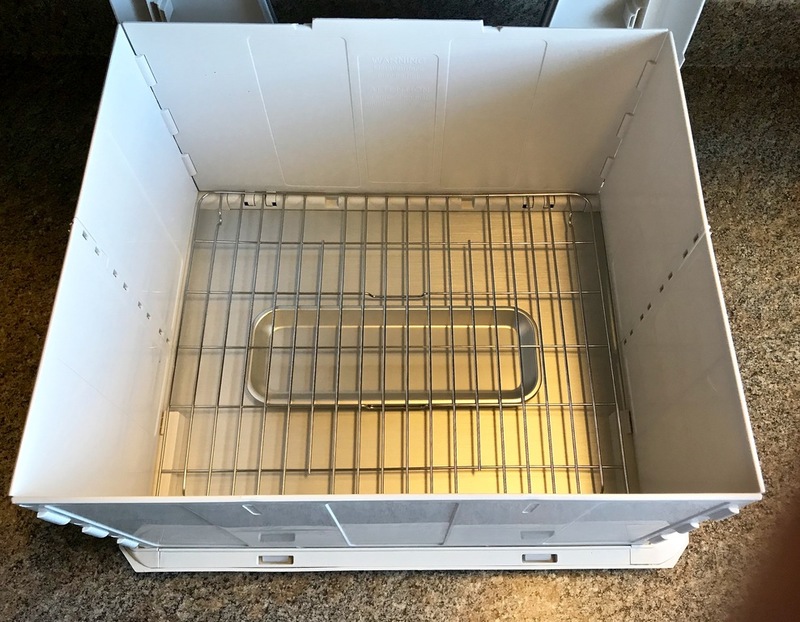 This appliance can also be used for the fermentation of foods such as Kimchi or Tempeh, to brew Kombucha as well as culture products like Yogurt and Kefir. The yogurt lovers out there will appreciate the large quantities that can be made in the Brød & Taylor when using large mason jars. Up to 2 gallons at a time. Custard style or Greek style. As a proofer this appliance positively excels. 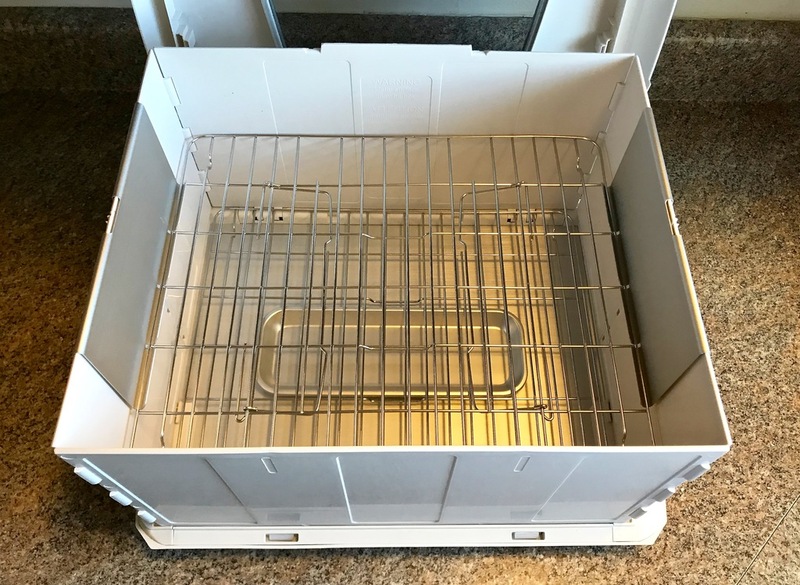 The included water tray creates an atmosphere of 80% humidity while the heating element warms vessels or baskets to your precise temperature setpoint creating an environment so ideal for proofing that oiling and/or covering dough during the rise is neither necessary or recommended. There are, of course, many work-arounds for proofing dough but this this is just so easy. Especially during the Winter months. It is truly a "Set it and forget it" appliance. 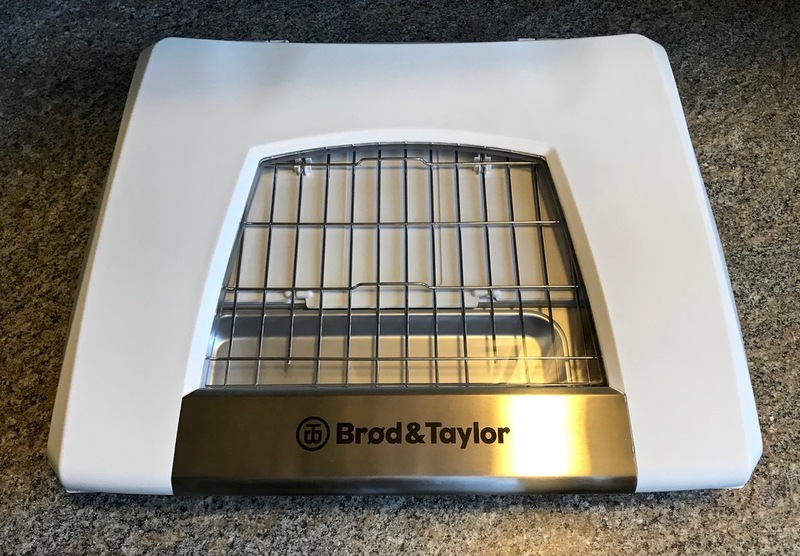 The Brød & Taylor Proofer has a well though out space saving design that folds flat for easy storage. Opened, all included components are visible. 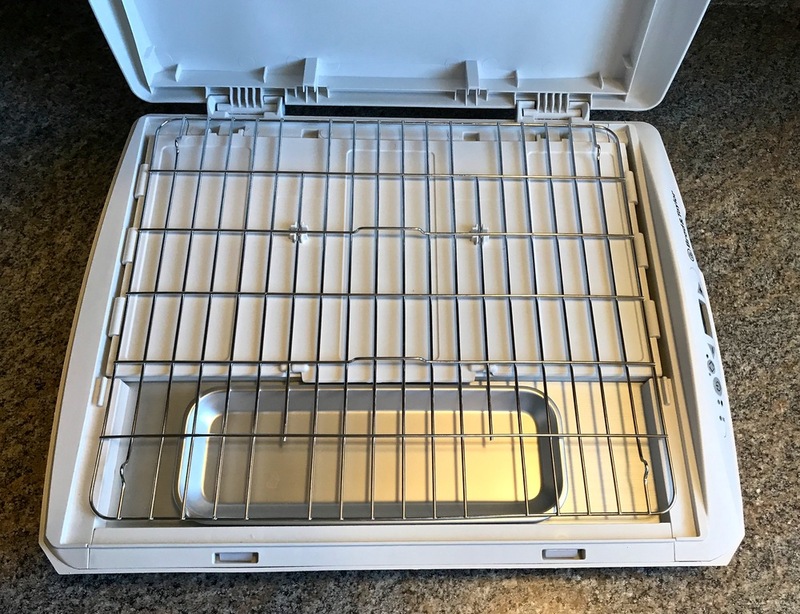 The water tray, attached folding walls and wire rack meant to hold proofing vessels above the heating plate and water tray. I removed the electrical cord for some reason. With the top replaced this unit is ready to rock and roll. The basic unit runs $154.00. The optional second hanging wire rack about $29.00. Lately, Williams-Sonoma seems to have a 20% off sale every month. Then Amazon follows suit. These guy's have a price war going and I've been taking advantage of it for months. I always wait for these sales and wound up purchasing the main unit from W-S and the optional wire rack at Amazon I think last July. There is no way the second wire rack is worth even $10.00 let alone whatever I wound up dropping on it but until some competition arrives on the scene it is what it is. Inside opened box 15" x 12.5" x 8" high so the second rack increases the unit's capacity from 2 baking pan loaves to 4 loaves and 1 10" round Banneton proofing basket to 2.